The lemon is high in vitamin C, fiber and various beneficial plant compounds. These nutrients are responsible for the health benefits of lemons. In fact, lemons may support heart health, weight control, digestive health and more. This article lists 6 health benefits of lemons that are backed by science. Lemons are a good source of vitamin C.
One lemon provides about 30.7 mg of vitamin C, which is 51% of your recommended daily intake (RDI). Research has shown that eating fruits and vegetables rich in vitamin C reduces the risk of heart disease and stroke (1, 2, 3). However, it’s not only the vitamin C that is thought to be good for your heart. The fiber and plant compounds in lemons could also significantly lower some risk factors for heart disease (4, 5). For instance, one study found that eating the fiber from citrus fruits like lemons reduced total blood cholesterol levels after 4 weeks (6). 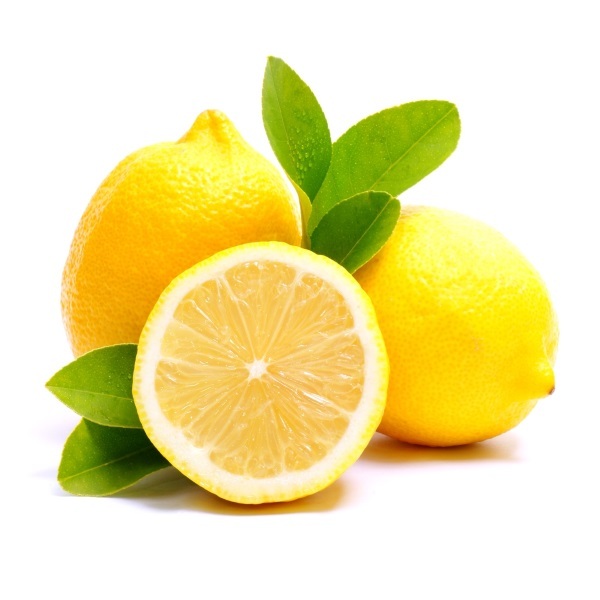 Plant chemicals found in lemons, namely hesperidin and diosmin, have also been shown to lower cholesterol (7, 8, 9). Bottom Line: Lemons are high in heart-healthy vitamin C and several beneficial plant compounds that have been shown to lower cholesterol. Lemons are often promoted as a weight loss food, and there are a few theories as to why this is. One common theory is that the soluble pectin fiber in them expands in your stomach, helping you feel full for longer. That said, not many people eat lemons whole. And because lemon juice contains no pectin, lemon juice drinks will not promote fullness in the same way. Another theory claims that drinking hot water with lemon will help you lose weight. However, drinking water is known to temporarily increase the number of calories you burn, so it may be the water itself that is helping with weight loss, not the lemon (10, 11). Other theories suggest that the plant compounds in lemons may help with weight loss. Research actually shows that plant compounds in lemon extracts may help prevent or reduce weight gain in a number of ways (12, 13). In one study, mice on a fattening diet were given lemon polyphenols extracted from the peel. They gained less weight and less body fat than other mice (14). These are interesting findings. However, at the moment no studies have confirmed the weight loss effects of lemon compounds in humans. Bottom Line: Animal studies show that lemon extract and plant compounds may promote weight loss, but the effects in humans are unknown. Kidney stones are small lumps that form when waste products crystallize and build up in the kidneys. They are quite common, and people who get them often get them repeatedly. Citric acid may help prevent kidney stones by increasing urine volume and increasing urine pH, creating a less favorable environment for kidney stone formation (15, 16). It’s thought that just 1/2 a cup (4 oz) of lemon juice per day can provide enough citric acid to help prevent stone formation in people who have already had them (17, 18). Some studies also found that lemonade effectively prevented kidney stones, but the results have been mixed. Other studies have shown no effect (19, 20, 21, 22). Therefore, more well-conducted studies need to examine how lemon juice affects kidney stone formation (23, 24, 25). Bottom Line: Lemon juice may help prevent kidney stones from re-forming. However, more quality research is needed. Iron deficiency anemia is quite common. It occurs when you don’t get enough iron from the foods you eat. Lemons contain some iron, but primarily they help prevent anemia by improving your absorption of iron from plant foods (26, 27). Iron from meat, chicken and fish (known as heme-iron) is very easily absorbed in your gut. Iron from plant sources (non-heme iron) is not as well absorbed, but this can be improved by the intake of vitamin C and citric acid. Because lemons contain both vitamin C and citric acid, they may protect against anemia by ensuring you absorb as much iron as possible from your diet. Bottom Line: Lemons contain vitamin C and citric acid, which help you absorb non-heme iron from plants. This may help prevent anemia. A diet rich in fruits and vegetables may help prevent some cancers (28). Observational studies have found that people who eat the most citrus fruit have a lower risk of cancer, but other studies have found no effects (29, 30, 31). In test tubes, many compounds from lemons have killed cancer cells. However, many things can kill cancer in a test tube, and that doesn’t mean they will work the same way in the human body (32, 33, 34). Some researchers think that plant compounds found in lemons, such as limonene and naringenin, could have anti-cancer effects. Yet this hypothesis also needs further investigation (5, 35, 36, 37). Researchers have also been encouraged by animal studies showing that D-limonene, a compound found in lemon oil, does have anti-cancer properties (38, 39). Another study used pulp from mandarins that contained the plant compounds b-cryptoxanthin and hesperidin, which are both also found in lemons. The study found that the compounds prevented malignant tumors from developing in the tongues, lungs and colons of rodents (40). However, it should be noted that the research team used a very potent dose of the chemicals — far more than you would get by eating lemons or oranges. So far, it seems that plant compounds from lemons and other citrus fruits have the potential to prevent the progression of cancer. That being said, no quality evidence shows that lemons can fight cancer in humans. Bottom Line: Some plant chemicals from lemons have been shown to prevent cancer in animal studies. However, human studies are needed. Lemons are made up of about 10% carbs, mostly in the form of soluble fiber and simple sugars. The main fiber in lemons is pectin, a form of soluble fiber that is linked to all sorts of health benefits. Soluble fiber can improve gut health and slow the digestion of sugars and starches. These effects may result in reduced blood sugar levels (41, 42, 43, 44). However, to get the benefits of fiber from lemons, you need to eat a lot of them, including their pulp and skin. People who drink the juice from lemons, without consuming the skin and pulp, will miss out on benefits of the fiber. Bottom Line: The soluble fiber in lemons could help improve digestive health. However, you need to eat the pulp of the lemon, not just the juice. Lemons contain a high amount of vitamin C, soluble fiber and plant compounds that give them a number of health benefits. Potentially, lemons may help with weight loss and provide protection against heart disease, anemia, kidney stones, digestive issues and cancer. Not only are lemons a very healthy fruit, but they also have a distinct, pleasurable taste and smell that make them a great addition to foods and drinks.